The Weekly Stuff Podcast #121 - Reviewing "Halo 5: Guardians"
This is a sad episode. There are some fun topics. We finally get to talk about the new Dragon Ball Z movie, Resurrection ‘F’, which is a blast. It’s a lot of fun to watch, and to talk about. And Doctor Who is still on a hell of a roll, with the latest episode, “The Zygon Invasion,” continuing the show’s hot streak. But the bulk of this episode is devoted to reviewing the latest game in one of our favorite series, Halo 5: Guardians, and the results are unfortunately disappointing. This is a game with such a strong command of the fundamentals, and so much raw potential, and so much of it goes unrealized. Speaking ill about Halo is never fun, and up to this point, it’s been pretty rare. But there’s no getting around it this time, and our spoiler-filled discussion of the game, its multiplayer, and its campaign is a deep dive into one of the year’s bigger let-downs. BUT - exciting news is at hand too! 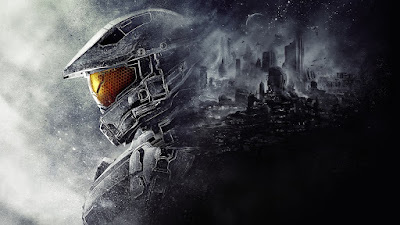 After years of sharing his thoughts as co-host of the podcast, Sean Chapman has contributed a full written review to the site, of Halo 5. It's an excellent piece, and largely spoiler-free, so if you're still on the fence, give Sean's review a read. It's great.